Oman International Electronics & Trading Co (OHI Electronics), a subsidiary of the OHI Group, recently completed a pair of projects for the country’s Royal Court Affairs. 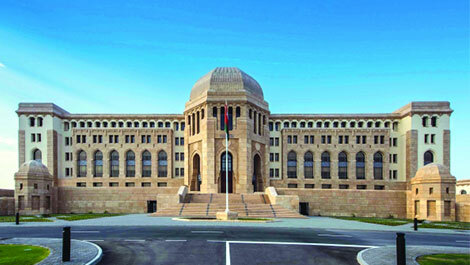 The state government office contracted the systems integrator to install new live production and streaming systems at the Sultan Qaboos Youth Complex in Salalah and the Supreme Court in Muscat. Based on the specifications for both projects, OHI Electronics opted for Roland’s VR-3, a combined portable audio and video mixer that includes a USB port for live streaming. These were supplied by the manufacturer’s distributor in the Middle East, Nicolas M Kyvernitis Electronics Enterprises (NMK). The VR-3's innovative design incorporates a video switcher, audio mixer, preview monitors and streaming-ready USB output all in a single unit. The mixer is suitable for large events or conference venues. While webcasting AV technicians usually need at least two audio outputs with independent level controls. The Roland VR-3 offers a USB audio control knob in order to adjust the audio level on the webcast independently from the output from the RCA and 1/4" outputs, both of which are live. "Based on the live production and streaming requirements we chose Roland VR-3 mixers for both projects," explained Santhosh Vasu, Sales Manager at OHI Electronics . "It makes it very easy for A/V technicians to convert or mix audio and video files. The best feature is its portability and recording and streaming applications."